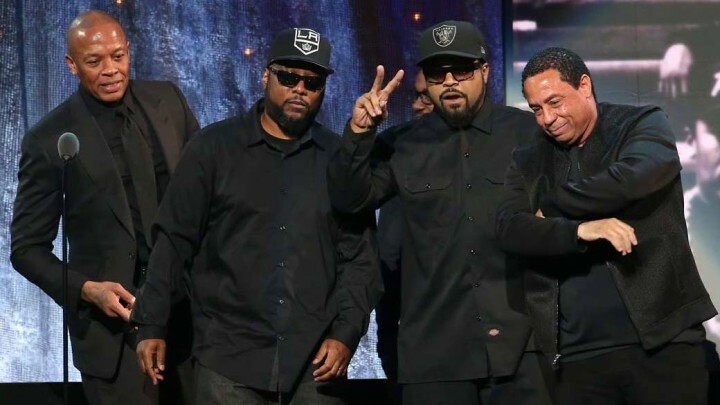 MetalRockNews: N.W.A. respond to Gene Simmons about "rap will die"
N.W.A. respond to Gene Simmons about "rap will die"
N.W.A. responded to Gene Simmons' recent comment that he was looking forward to the death of rap during Rock And Roll Hall Of Fame. MC Ren said: "I want to say to Mr Gene Simmons that hip-hop is here forever. We're supposed to be here." N.W.A insisted their non-conformist spirit earned them their place in the Rock And Roll Hall Of Fame as they were inducted alongside Deep Purple, Cheap Trick, Chicago and Steve Miller. Ice Cube said: "Are we rock'n'roll? And I say, you're goddamn right we're rock'n'roll. Rock'n'roll is not an instrument. It's not even a style of music. It's a spirit that's been going on since the blues, jazz, bebop, soul, rock'n'roll, R&B, heavy metal, punk rock, and yes, hip-hop. Rock'n'roll is not conforming to the people who came before you, but creating your own path in music and life. That is rock'n'roll and that is us."